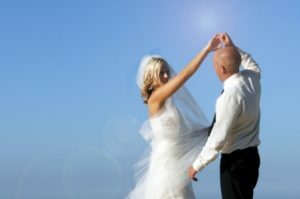 Coromandel wedding packages in New Zealand are made super easy with Eloping Weddings. Even in the Coromandel where finding great vendors is difficult. 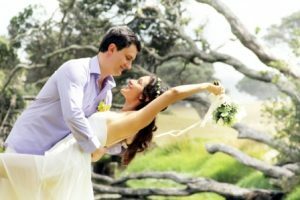 We take the hassle out of Coromandel eloping weddings and arrange the perfect small wedding for the traveling couple wanting to make the most of their beautiful NZ holiday. 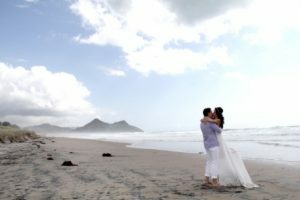 Weddings in the Coromandel take advantage of the crystal clear and blue waters full of amazing marine life and a myriad of islands that make up this laid back and easy going part of New Zealand. Coromandel is best described as NZ 50 years ago. This very special area is close to the main city of New Zealand, Auckland. It particularly convenient to your likely arrival in New Zealand. Only a few hours drive from Auckland city and you will feel a thousand miles away. It is a very quaint and quiet part of New Zealand perfect for getting married. It’s also a very fascinating area and offers alot of amazing photo opportunities with a myriad of white sandy beaches, stunning little coves and islands. The Coromandel is a natural wonder that brings thousands if not millions of visitors to New Zealand every year from all over the world. It’s a great place to marry and very picturesque. Booking your Coromandel wedding package with Eloping Weddings is easy and affordable. New Zealand has favourable exchange rates and you will be surprised how affordable your wedding will be. 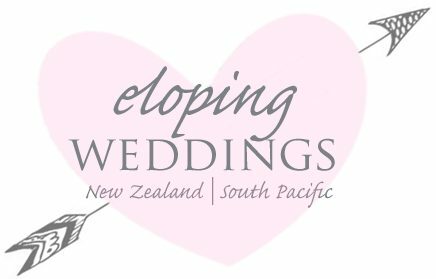 Eloping Weddings will arrange your whole wedding day for you and you will save you money thus leaving you more funds for a great little New Zealand holiday. We know all the best wedding suppliers and we have already negotiated the best prices to ensure you get the very best deals. At Eloping Wedding we have the professional contacts to make sure every part of your wedding day runs smoothly. Best of all we arrange the regions best photographer so you can return home with amazing photos and a highlight video to show off to family and friends. Remember it with our packages you receive your ceremony video in full. The Coromandel and the surrounding area has fantastic beaches, great fishing, glass bottom boat tours, world class scuba diving and natural unspoilt waterfalls and bays. Its also famous for ‘Hot Water Beach’ where you can dig and hole in the sand and enjoy your very own natural and hot, salt water spa. Coromandel has a year round warm coastal climate and is a well proven wedding destination with lots of scenery and activities on offer. We offer a great option of pre-booking all your activities before you leave home. All your adventures and accommodation can be listed in an itinerary for you for your convenience. This is a great way of planning your complete New Zealand holiday itinerary and setting the budget early on in the planning. If you don’t know where to start to plan your wedding, reach out to us, we are here to help. Contact us for an information pack complete with prices on our Coromandel weddings. We have a variety of options to contact us for your convenience. that can include all your activities and adventures.